Make sure your drinks have a splash of summer in them with this Pineapple Shaped Ice Cube Tray from Fairly Odd Novelties! Perfect for fruity drinks and warm weather, this ice adds its own touch of the Caribbean to all those wonderful mixed drinks that remind you of summer. Now, you can make sure that your next themed party or luau has the right vibe, no matter what you and your friends are drinking! 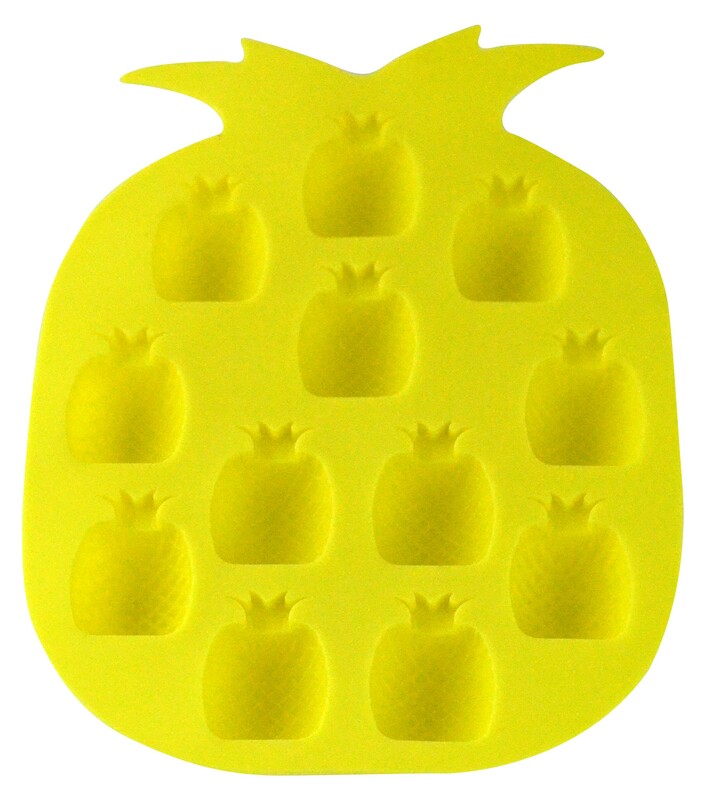 Make sure your drinks have a splash of summer in them with this Pineapple Shaped Ice Cube Tray from Fairly Odd Novelties! Perfect for fruity drinks and warm weather, this ice adds its own touch of the Caribbean to all those wonderful mixed drinks that remind you of summer. Now, you can make sure that your next themed party or luau has the right vibe, no matter what you and your friends are drinking! With a vibrant pineapple design on two levels, this tray is sure to grab the attention of pirates and foodies alike at your next birthday, white elephant, office, or secret Santa party! These detailed pineapple ice molds are perfect for bringing a touch of the tropics to any event you see fit, even if it's just sitting out on the porch after a long day at the office. Order your trays today, and get ready to make any event feel like a trip to the beach with these tropical treat enhancers! Tray is yellow rubber and makes 12 ice cubes.